Abbas spokesman blasts Netanyahu for vowing not to cede security control of the Jordan Valley. Palestinian Authority (PA) chairman Mahmoud Abbas's office on Tuesday slammed Prime Minister Binyamin Netanyahu for vowing that Israel would never cede security control of the Jordan Valley as part of a future peace agreement. 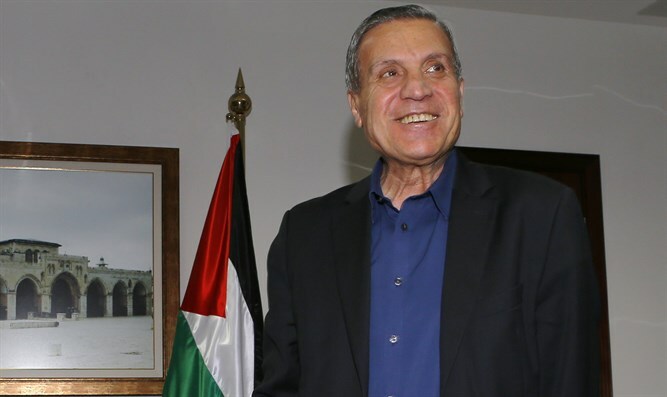 In response, Abbas’s spokesman, Nabil Abu Rudeineh, said on Tuesday that Netanyahu’s comments prove Israel is "not ready" for peace. He added that Netanyahu's remarks were meant as a stumbling block to U.S. President Donald Trump's attempts to breathe life into long-stalled peace efforts. "They are a message to the U.S. administration and to the international community that Israel is not ready to reach peace based on international law and resolutions," Abu Rudeineh wrote in a statement quoted by AFP. "We reject these remarks, which seek to create a climate that makes the situation more complicated and are absolutely not aimed at supporting efforts for a solution," he added. The PA bureau in charge of foreign affairs responded to the comments as well, saying in a statement quoted by AFP, "Netanyahu wants to cut off the momentum of U.S. and international efforts to resume negotiations between Palestinians and Israelis." There have been calls on Israel to withdraw from the Jordan Valley as part of a future agreement with the PA. Israeli experts have warned that the area is strategically critical and that allowing the IDF to withdraw from the region and letting the PA take control would be a serious security threat to Israel. Trump is currently in the process of launching an initiative to resume peace negotiations between the sides. While full details of his initiative have not been made public to date, a recent report said he was interested in a move which would redefine sections of Area C in northern Samaria as Area B. Area C is under full Israeli rule, while Area B is part of the Palestinian Authority and Israel is only in charge of security in that area. Education Minister Naftali Bennett expressed his opposition to such a move. Netanyahu is reportedly opposed to the idea as well.